His mother taught him Urdu and Arabic before he learned English at the age of 4. By the age of 5, he had read the entire Qur’an in Arabic and had memorized many chapters. In August 2001, while a student at Old Dominion University in Norfolk, Virginia, Nabeel observed fellow student David Wood reading the Bible in his free time. Nabeel regularly read the Qur’an, but it struck him as odd to see a Christian reading the Bible on his own. From December 2004 to April 2005, Nabeel experienced three vivid dreams that strongly suggested to him that Christianity is true and that Christ should be followed. 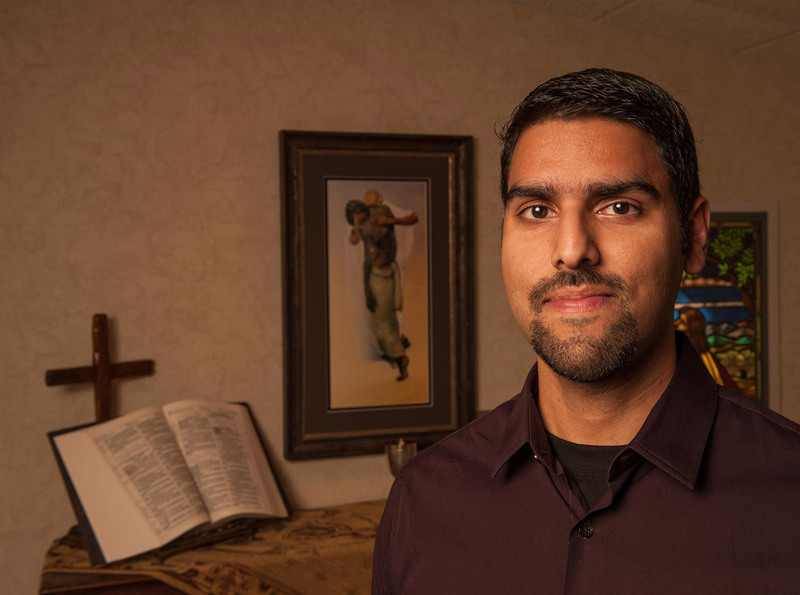 In February 2014, Nabeel published his first book, Seeking Allah, Finding Jesus: A Devout Muslim Encounters Christianity (Zondervan), which landed on The New York Times bestseller list, and was awarded the Christian Book Award for both “Best New Author” and “Best Non-Fiction Book” of 2015. It has sold more than a quarter of a million copies. In 2015, Nabeel’s wife, Michelle, gave birth to their daughter, Ayah Fatima Qureshi, named after a Christian martyr. In March 2016, Zondervan published Nabeel’s book Answering Jihad: A Better Way Forward. Five months later, in August 2016, Zondervan released No God But One: Allah or Jesus? A Former Muslim Investigates the Evidence for Islam and Christianity. In October 2016, his wife, Michelle, suffered a miscarriage, and in May 2017, Nabeel announced that the radiation had not worked and that the cancer had spread to his chest. In September 2017, his doctors decided to place him on palliative care, as there were no further medical options to pursue. Nabeel’s funeral was held on September 21, 2017. You can watch it in its entirety below, courtesy of Ravi Zacharias International Ministry. The first 27 minutes is a photographic montage of his life. The first speaker is Jim Tour of Rice University, one of the most cited chemists in the world. The second speaker is Ravi Zacharias.